A female Thai singer is seen projected onto a TV screen in the background at an open-air performance in Bangkok. Judging by the various groups of Thai people that sought her autograph and a quick snapshot, I've used my massive brain power to deduce that she must be somewhat famous. Despite 4 months of living in Thailand, my language skills are primitive at best so I was unable to ask anyone if she was indeed a celebrity. 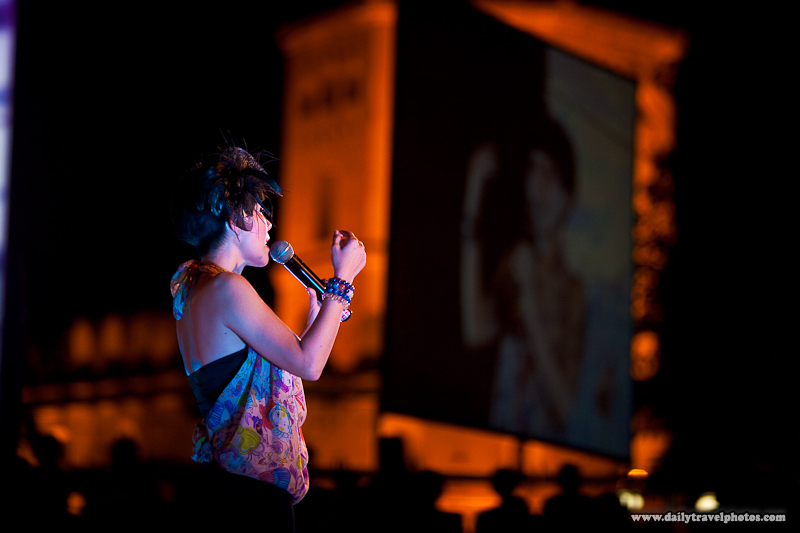 A Thai singer gestures while belting out a tune at an open-air performance in Bangkok.